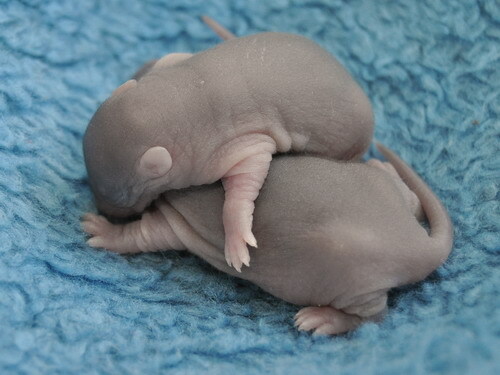 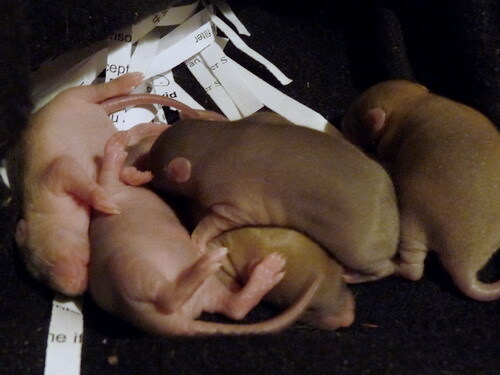 10/02/2014: 5 babies, day 23 of the gestation period. 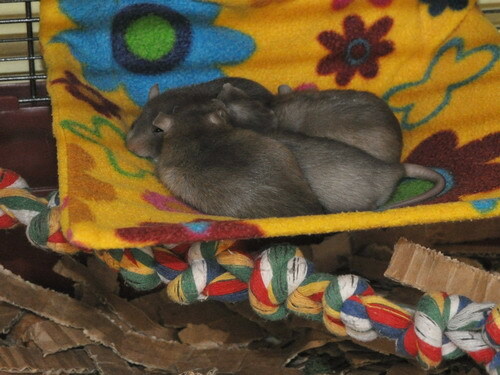 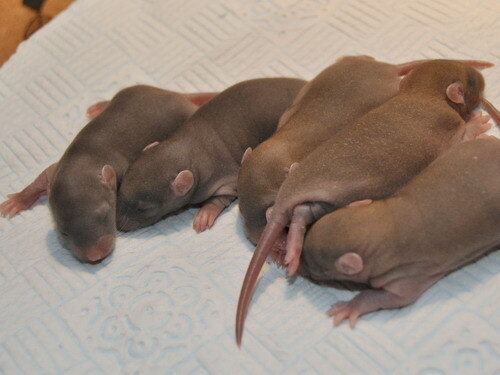 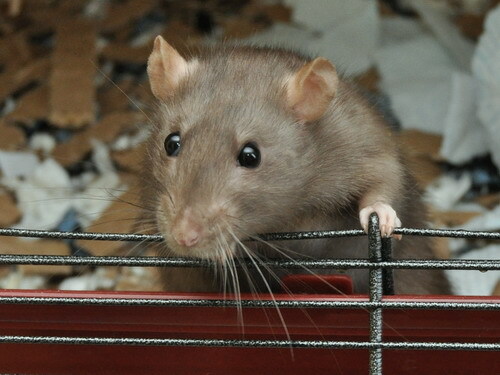 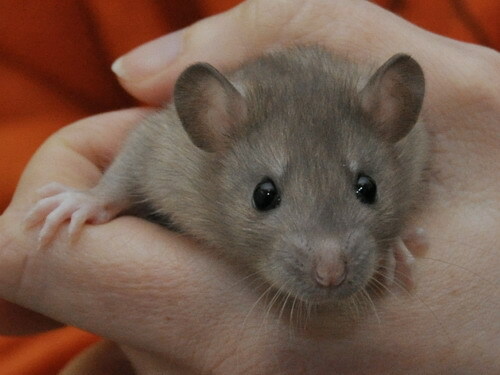 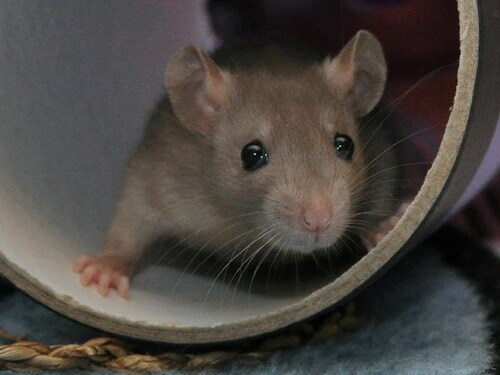 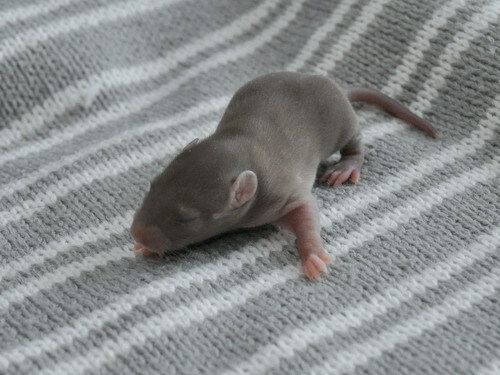 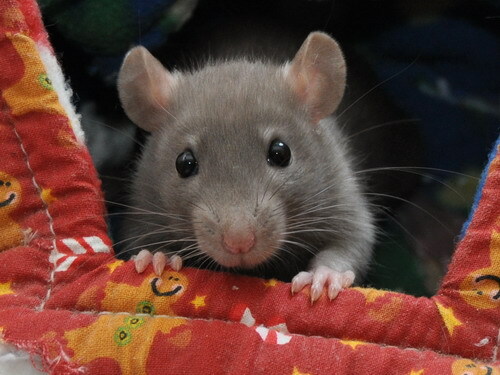 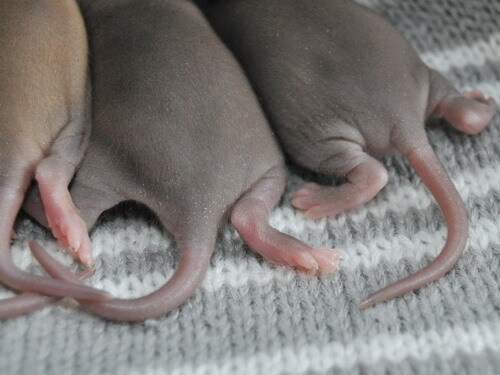 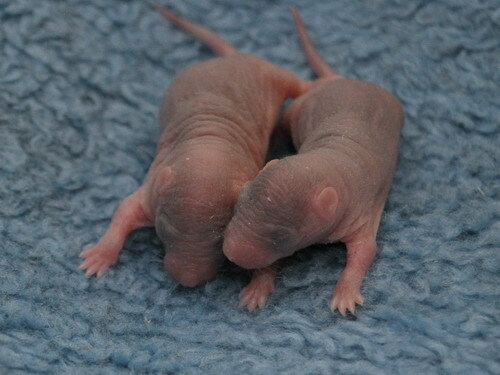 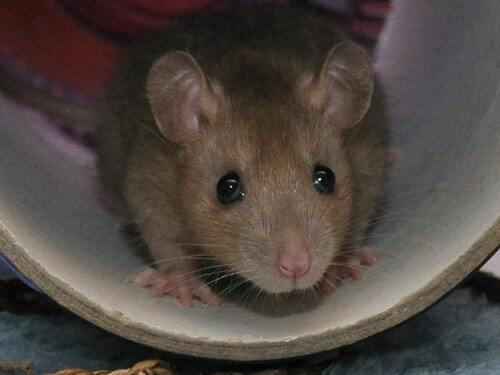 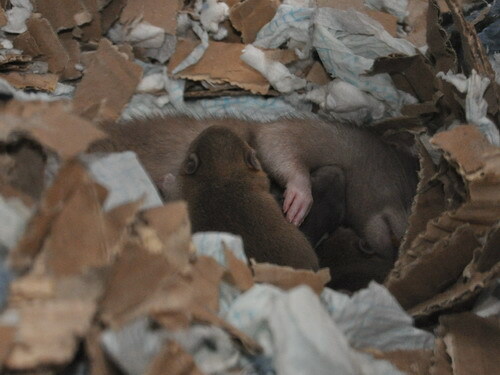 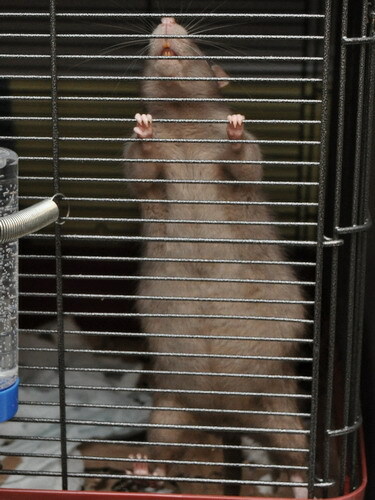 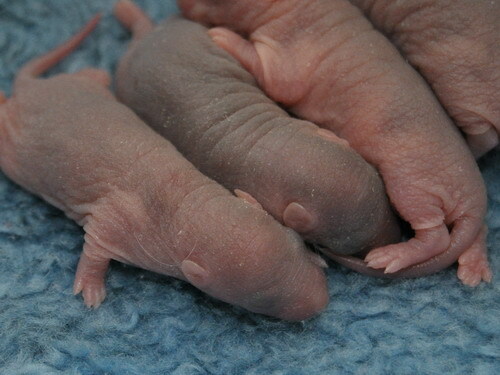 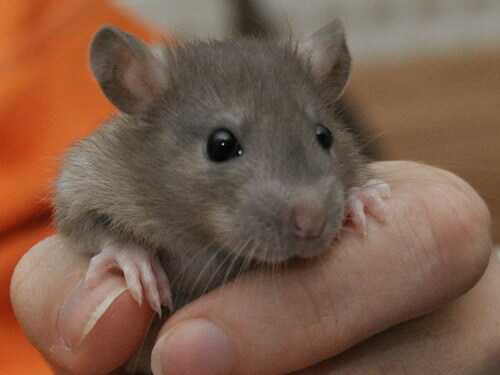 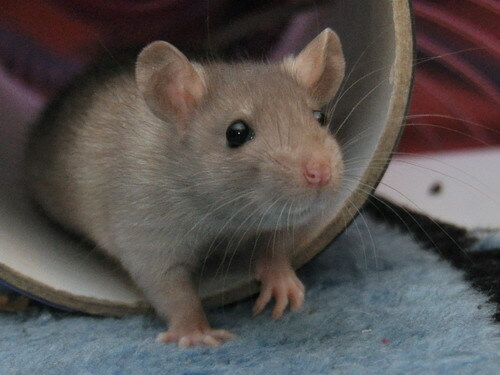 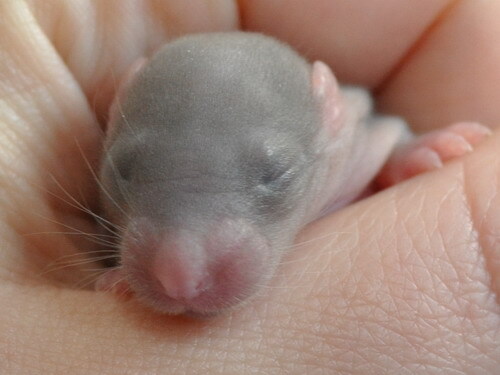 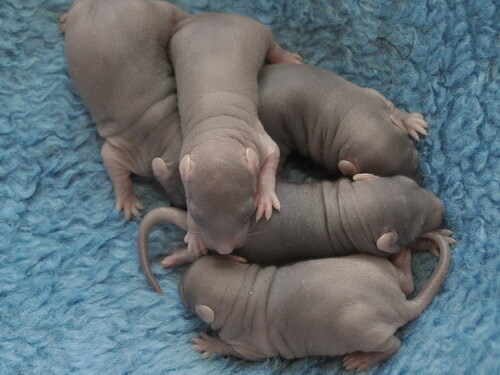 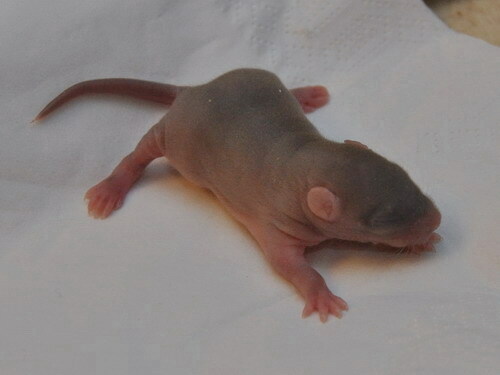 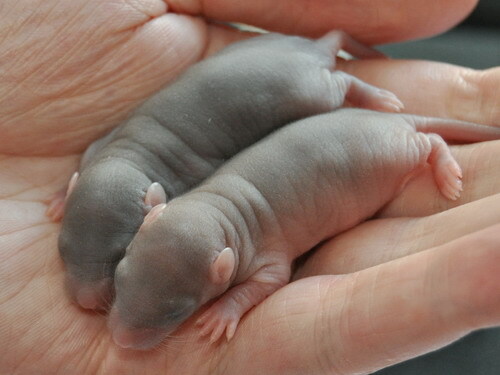 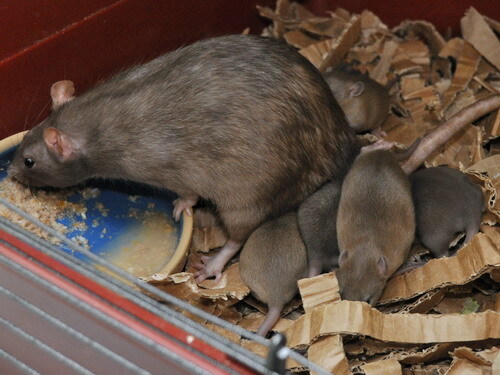 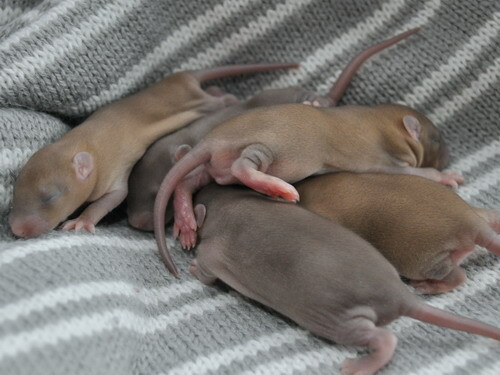 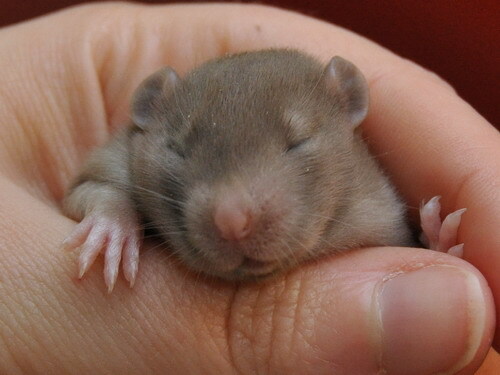 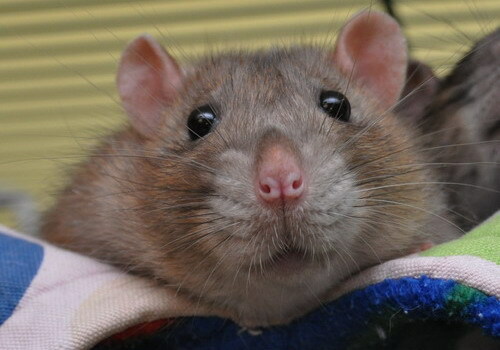 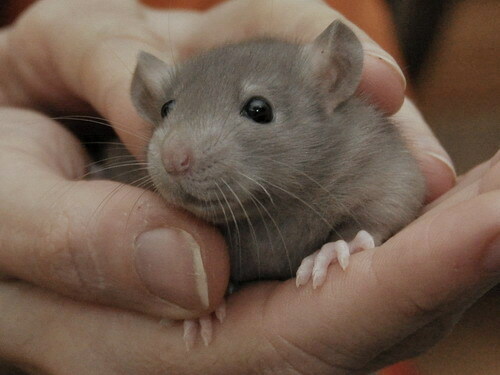 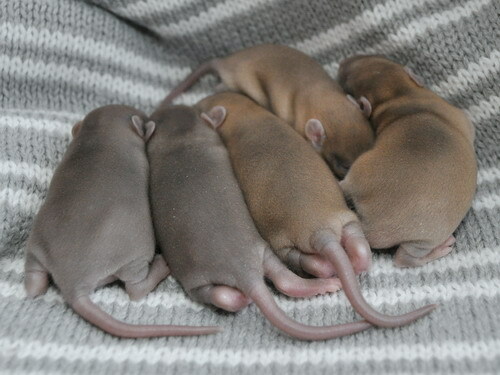 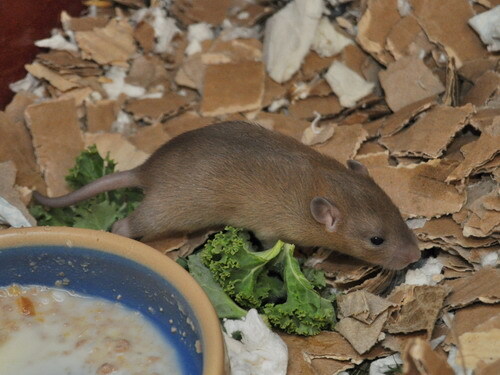 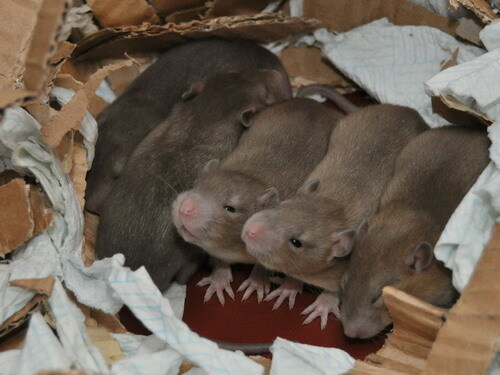 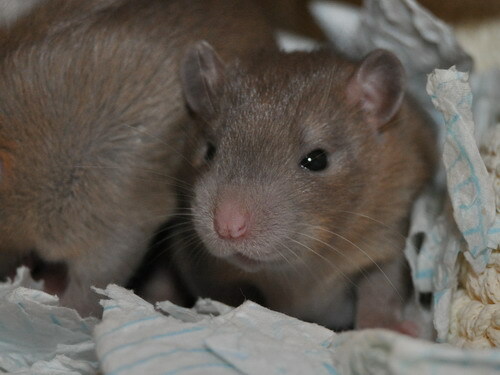 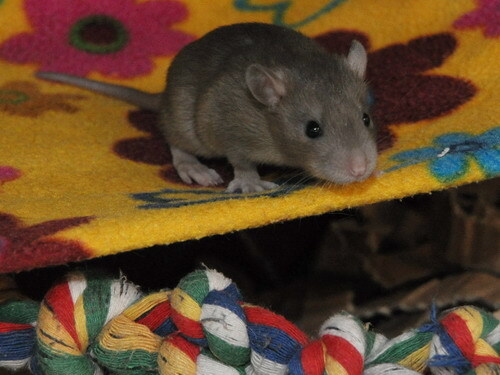 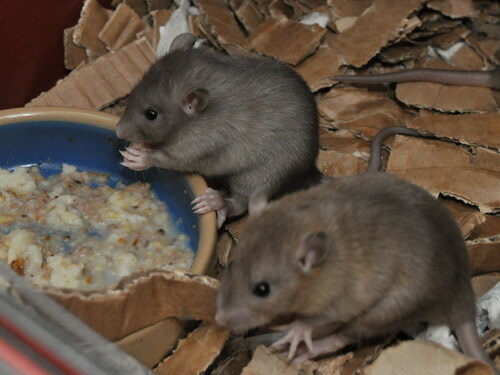 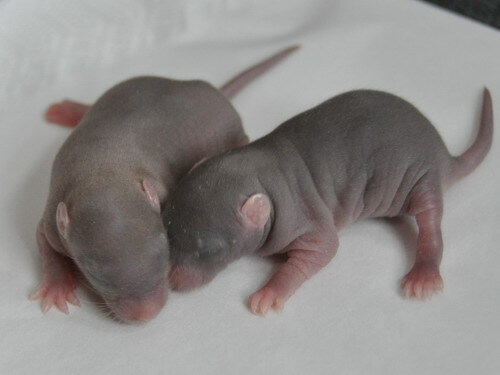 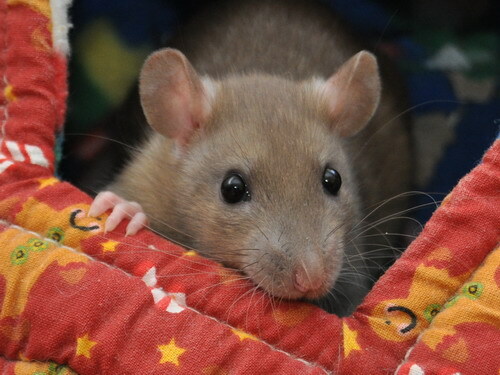 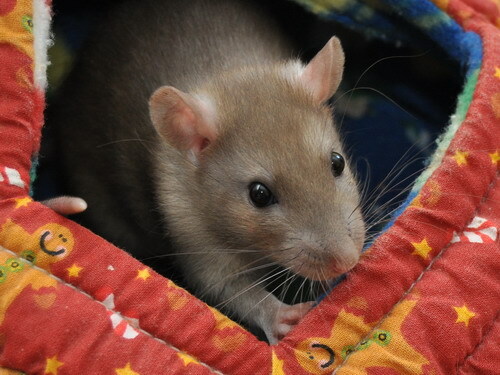 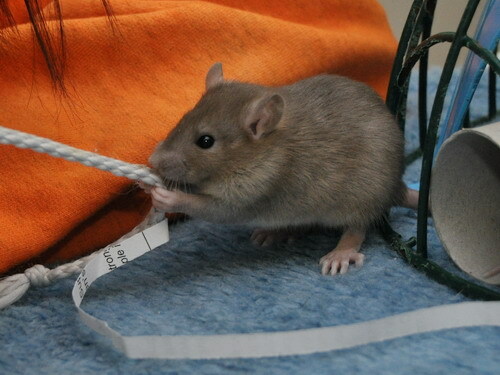 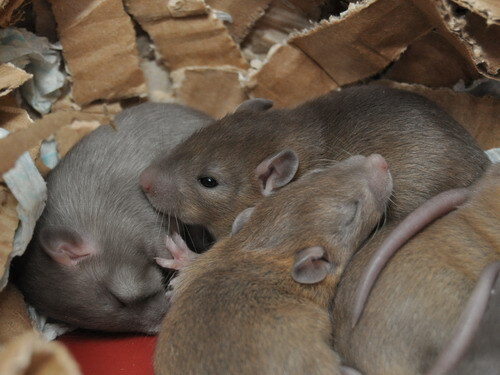 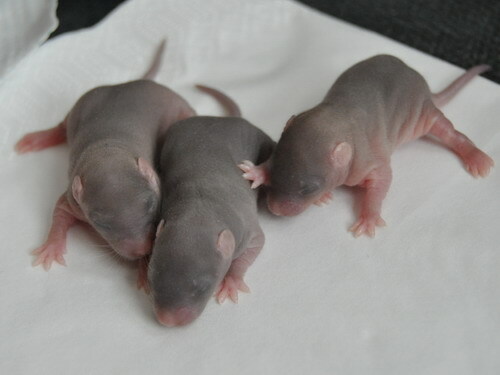 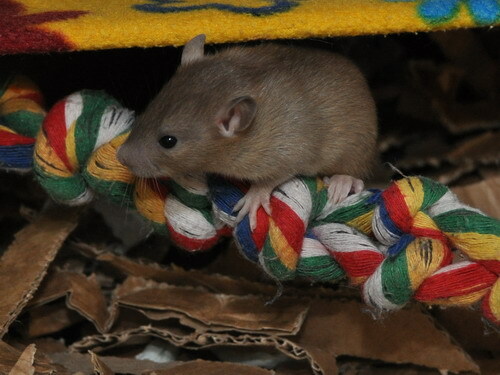 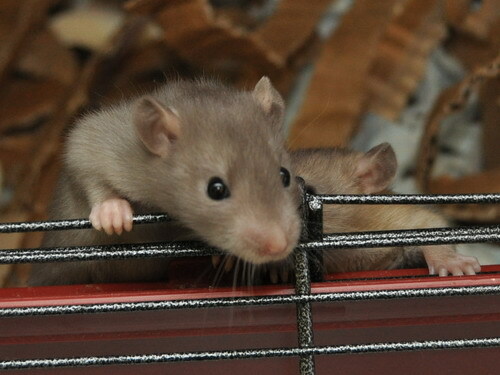 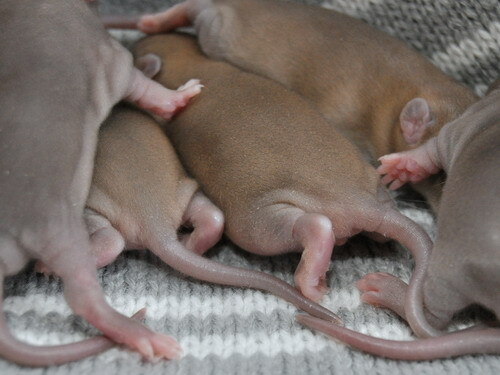 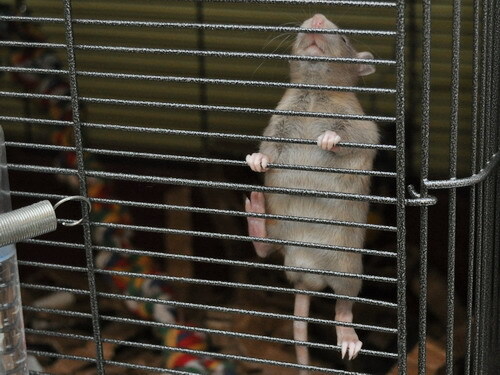 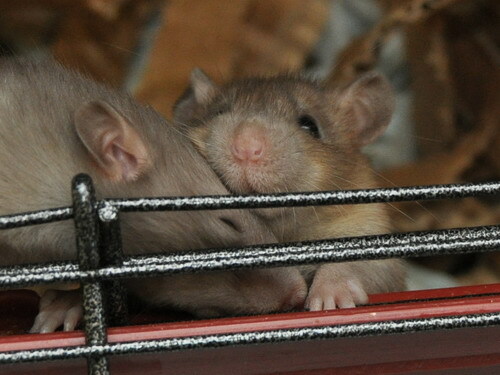 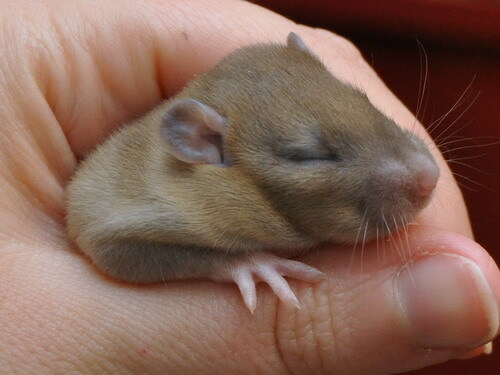 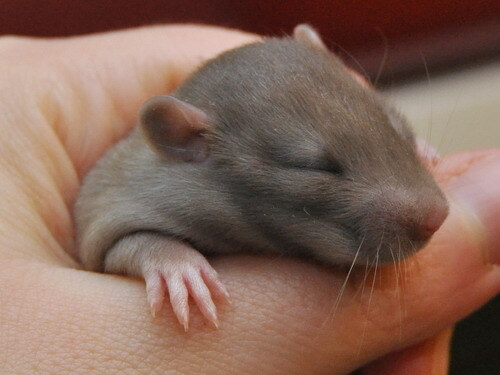 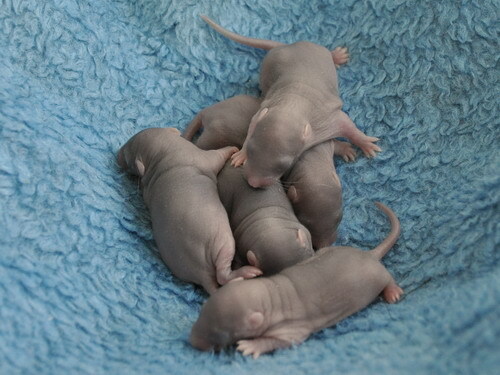 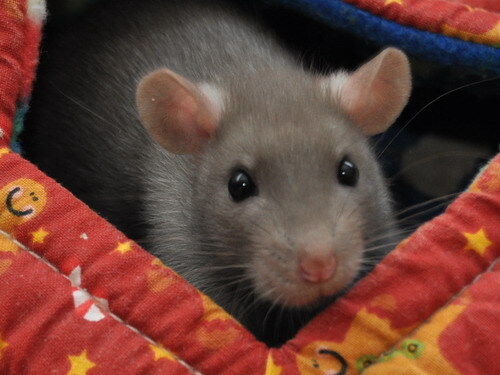 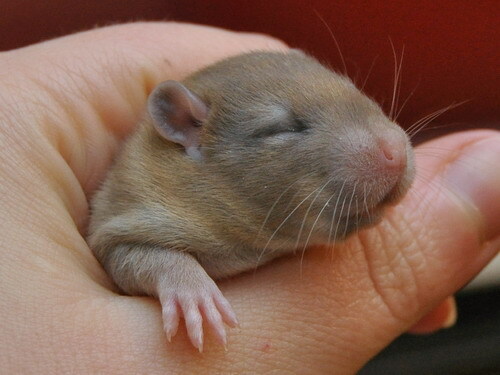 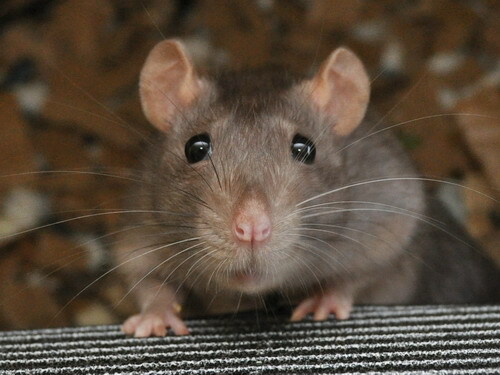 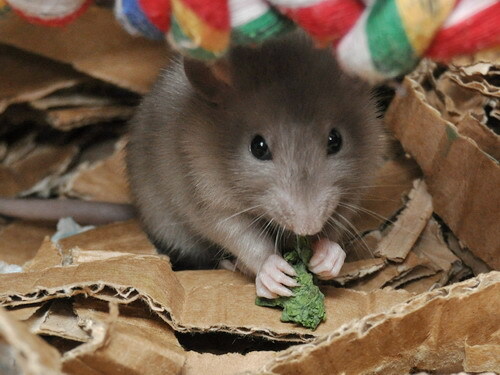 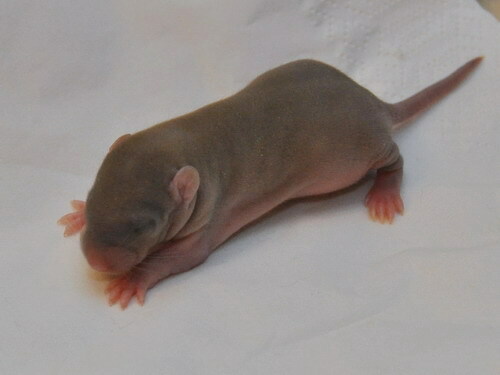 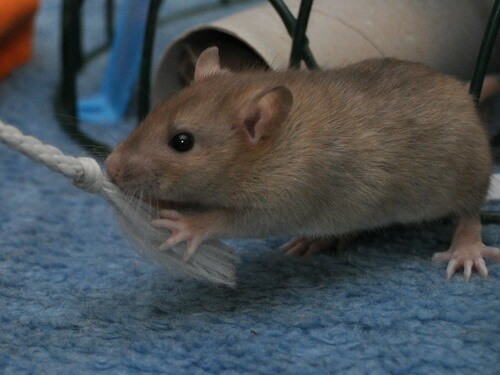 Shroom is a lovely girl from my Flow's second litter that she had at Sundrop Rats. 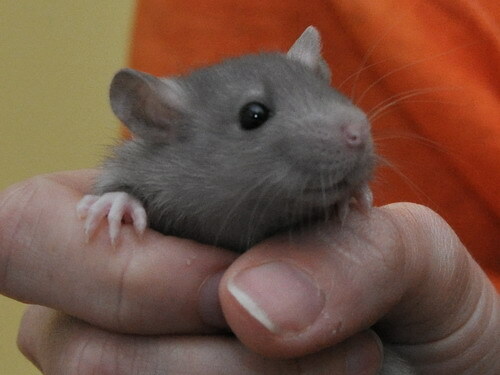 She is brave and steady, exceptionally licky, very active and has a really engaging personality. 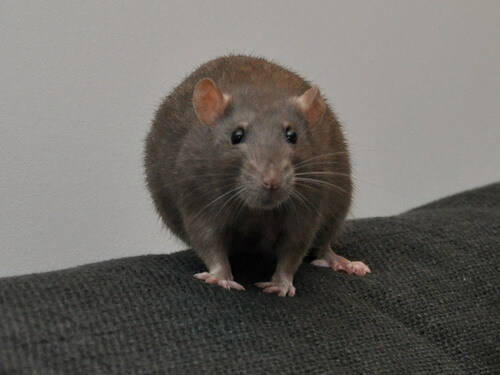 Physically she is quite a big sturdy doe, yet well proportioned and not heavy or coarse. 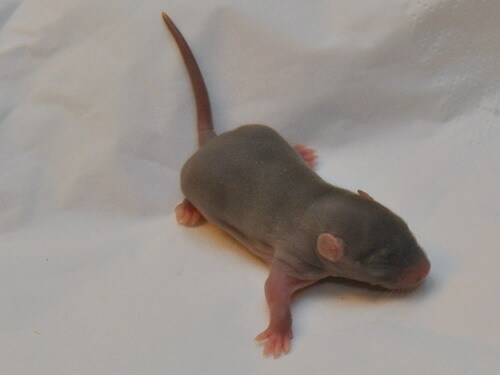 She has nice muscle tone and overall gives a very fit, able and spirited impression. 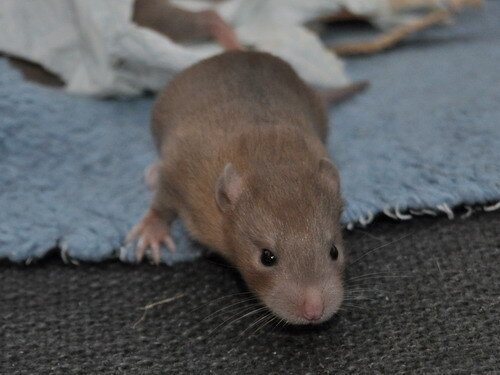 Despite mink popping up as a surprise (and thus not intentionally bred for) she has a lovely grey mink tone that isn't too brown. 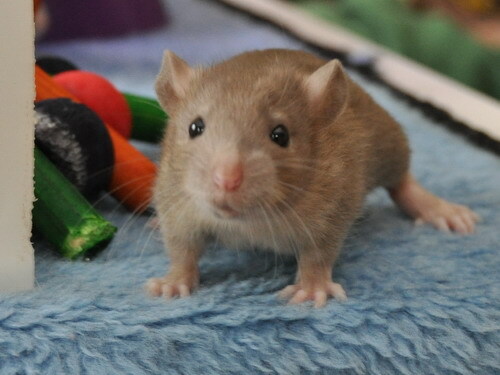 Bojangles was born here in Flow's first litter; he is a big typey buck, energetic, intelligent and mischievous - very much a troublemaker! 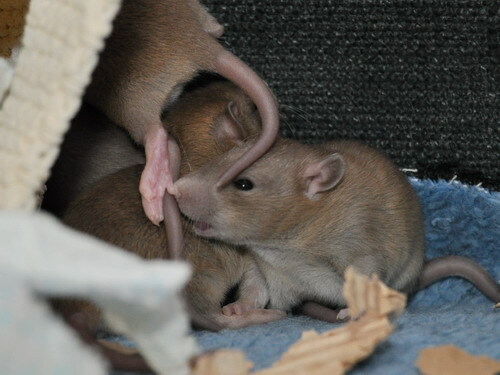 This mating is an inbreed on Flow who is a truly fantastic doe, and I'm hoping for engaging, people-oriented kittens with good type and lovely outgoing temperaments. 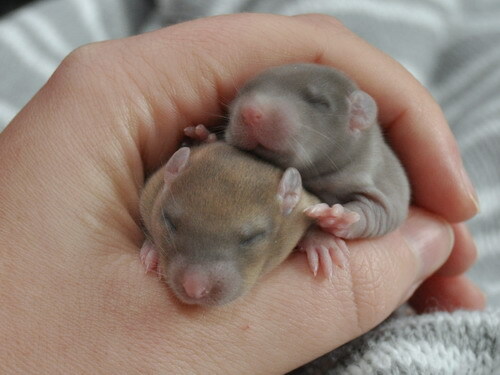 Babies will be cinnamon, and also mink if Bojangles carries self. 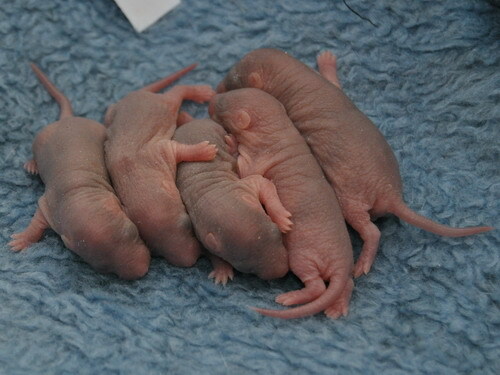 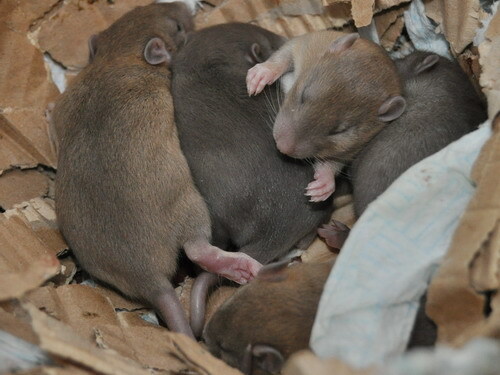 This litter will be homed jointly with the Bases. 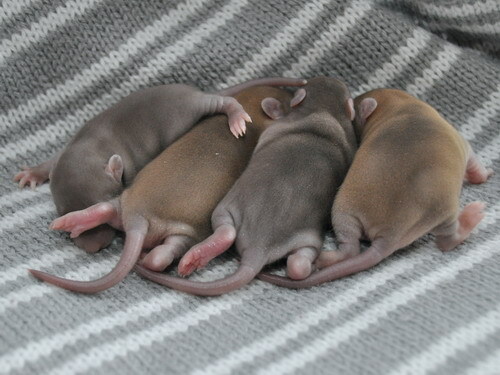 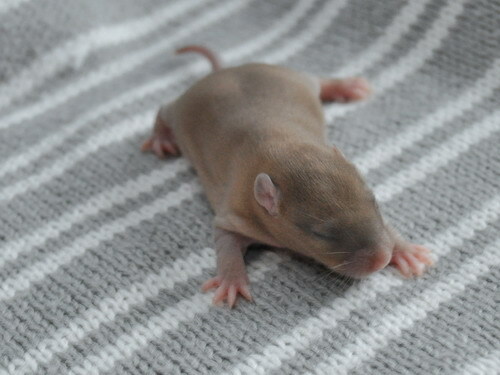 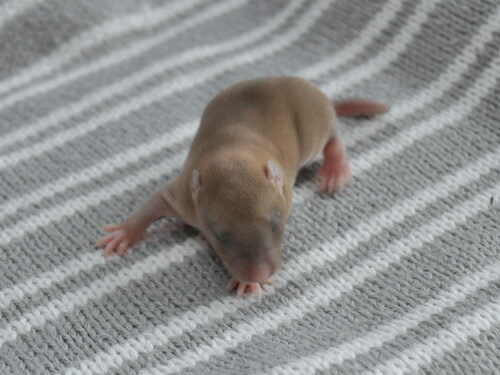 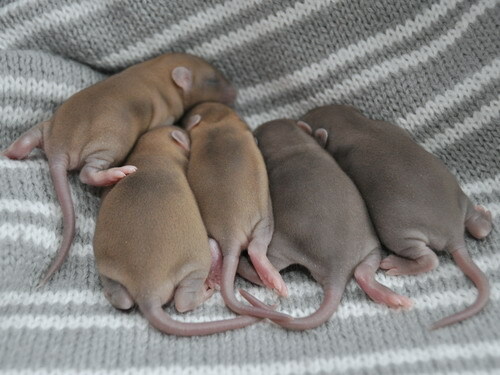 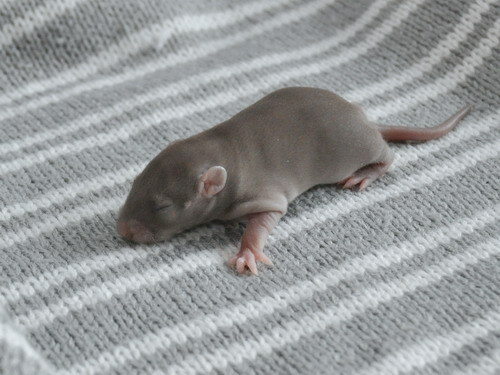 The smallest cinnamon girl was very sadly found dead on day 19, for unknown reasons, and as the litter was already so small Kelly (at Sundrop) and I will now keep back all the girls, with the boys going to live with their dad Bojangles.